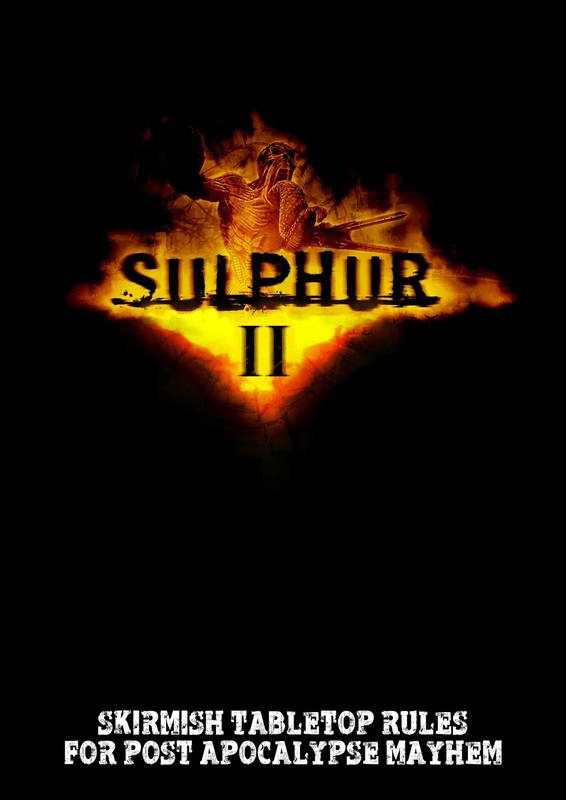 Alternative Armies: New Chain Gunner Team for Sulphur released! New Chain Gunner Team for Sulphur released! 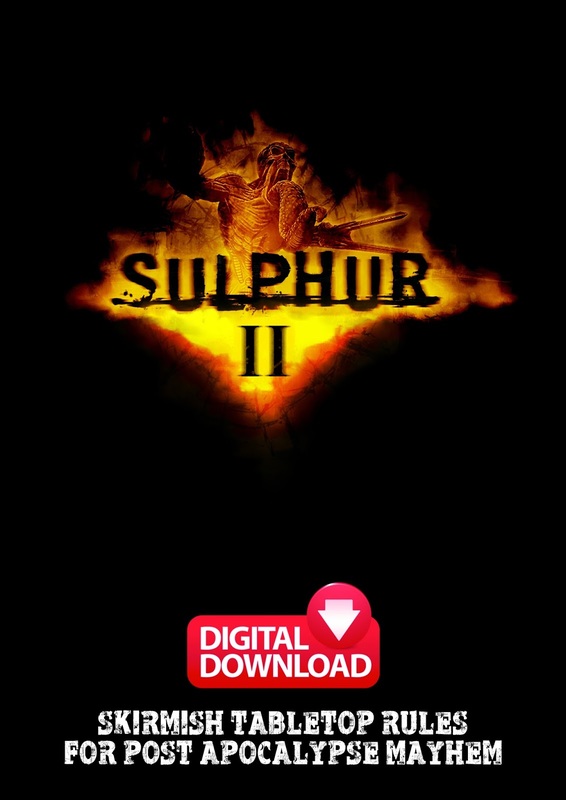 Now at Alternative Armies a brand new code for Sulphur II in 32mm scale. 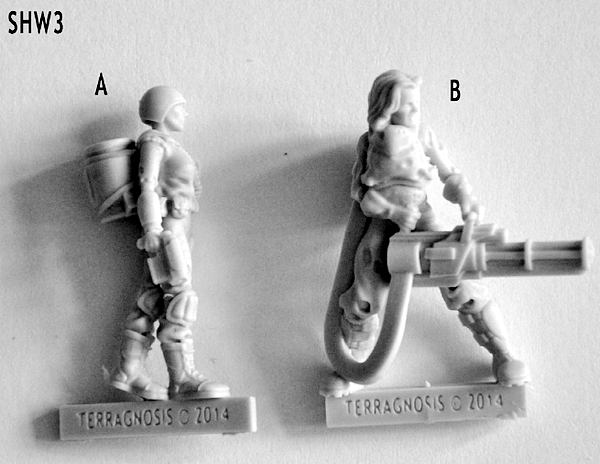 A pack containing a two woman Chain Gun Team which is now added to the larger and smaller vehicles, characters and of course the mecha in the range. 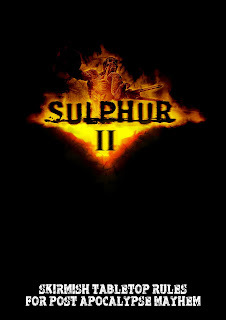 Sulphur 32mm post-apocalyptic tabletop game of mayhem and creeping mists. Go HERE for the range with all codes plus the game book in print and as a digital download too. 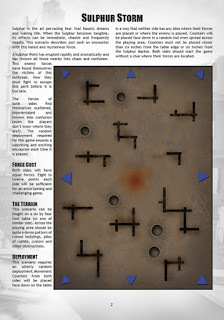 Read on for more information plus a link to download a new free article with rules and scenario for the game. 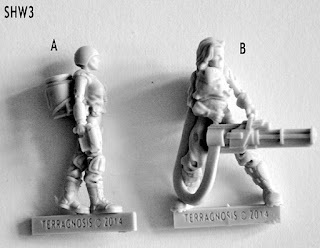 This high quality grey tone resin 32mm scale pack contains two different infantry support miniatures. Excellent for your wasteland gaming! These models are single piece and made for slotta bases. Parts are lettered for easy reference. 8.00GBP. Go HERE. 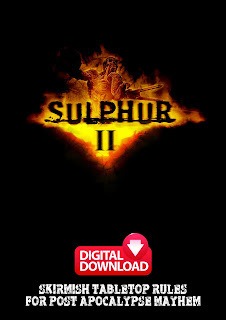 A Free Article for Sulphur – Sulphur Storm! 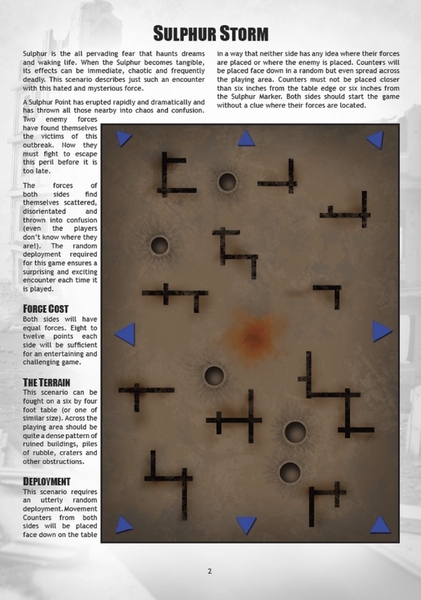 Download a full five page expansion of rules plus a free scenario directly from Alternative Armies written by the authors of Sulphur II. Click HERE and you can find the link on the web page too. Thank you for your support in bringing this range back to the world with us now with brand new codes!